Plums are juicy and sweet drupes that belong in the genus, Prunus. This fruit, scientifically known as Prunus domestica, is cultivated across the globe from Europe to Asia to the United States. There are some variety of plums that differ in color like crimson, light green, and yellow. The plum fruit benefits include relief from indigestion, influenza infection, and anxiety-related problems. The antioxidant power of plums helps in treating ailments such as osteoporosis, macular degeneration, cancer, diabetes and obesity. Plum fruit benefits are know for helping in maintaining healthy levels of cholesterol, cardiovascular health, cognitive health, immune system strength, cellular health, electrolyte balance, the nervous system and aids in skin care and blood clotting. Plums are recommended for eating because they contain a combination of vitamins, including vitamin C, vitamin B6 and vitamin E. None of these vitamins in the fruit is not in great quantity, but are combined in a ratio that is an optimal for the body. Therefore the plum is said to be a real natural multivitamin. The fresh fruit of the plum is the most curative part. It contains 84% water, 0.6% protein, 10% carbohydrates, 2.1 g fiber, it is especially important to emphasize that it contains high content of pectin, which is why it is the best fruit and natural asset for regulation of digestion. The fruit is rich in beta-carotene, folic acid and with minerals such: calcium, phosphorus, potassium, magnesium, sodium, iron, and copper. Copper among other is most deserving for the good work of the heart and liver. Among others, plum contains malic acid. Cardiovascular Health – Consumption of plum protects the heart from multiple heart ailments because of its ability to promote blood fluidity in the arteries. If the blood properly flows in the arteries, blood clotting is avoided. Blood clot is very dangerous because it can lead to stroke or worst heart attack. If you want to keep your heart healthy, eating plum can surely help. Controls Cholesterol levels – Another one of plum fruit benefits is that the high amount of vitamin C in the fruit can also prevent oxidized cholesterol from building up in arteries and hardening them. 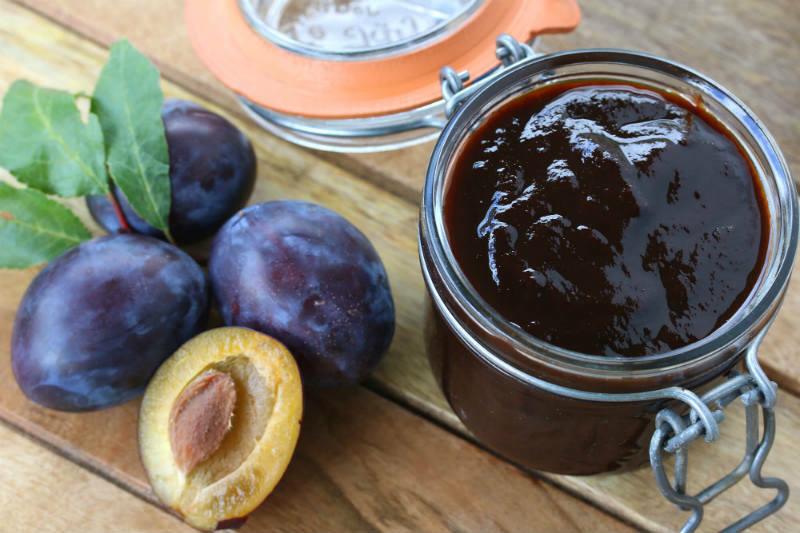 Therefore, plum can be effective in preventing diseases like hardened arteries or arthrosclerosis. Vitamin C can also help prevent other diseases such as asthma, osteoarthritis, colon cancer, and rheumatoid arthritis. Combats Cancer – Plum contains a very rare anti-cancer compound called epicatechin. This compound prevents development of cancer cells especially in the liver and breast. This fruit is very rich in powerful antioxidants which prevent free radical formation that damages cell’s DNA. This causes cancer specifically liver and breast cancer. Prevents Macular Degeneration – Macular degeneration is an age-related condition that affects the eyes. As the delicate tissues of the eyes degenerate due to old age, a person may have compromised sight, or may eventually even become blind. Research has shown that those who consume about three servings of plums regularly are able to prevent macular degeneration. The incidence of this disease in plum-eating populations has been reported as 36% lower than the general population. Helps with Diabetes – Plums exert anti-hyperglycemic effects and help in combating diabetes. Studies have shown that the consumption of plum extracts aids in the reduction of blood glucose and levels of triglyceride in the body. The flavonoids present in plums exert protective effects against insulin resistance and help to enhance insulin sensitivity in the body. Prevents Osteoporosis – As we age, there is a tendency that the quality and health of our bones deteriorate. Eating plum stimulates anti-resorptive and anabolic activities in the body which are highly beneficial to the bones. Plum contains unique types of flavanoid specifically rutin and caffeic acid that promotes the optimal condition of the bone tissues as well as prevent osteoporosis especially to the elderly. In addition, plums also contain potassium and polyphenol that boost hormones in the ovary thus preventing bone loss. It has been proved that consistency in eating plum improves the density of the bones so that bones remain strong and healthy as you grow old. Skin Care – Plums are rich in vitamin C, along with other antioxidants, which help to maintain healthy, radiant and youthful skin. The consumption of plums helps in reducing dark spots and wrinkles due to the presence of anti-aging nutrients. Plum extracts are used in various skin care products such as face wash and packs.